The book examines the most avant-garde phenomena in Latvian art from the mid-1970s up to the early 2000s. During the Soviet period, disconnected from the art development processes in Europe, there were a number of artists actively working in Latvia, who did not fall within the ideological framework and worked beyond the representative institutional system establishing their own unique artistic syntax. Juris Boiko and Hardijs Lediņš were the most outstanding artists from this circle. Their creative work encompasses architecture critique, avant-garde and underground music, visual arts (multimedia art, video art, action art, etc. ), absurd literature and poetry, performances, installations and other creative disciplines. Both artists can be regarded unique personalities in Latvian art scene in the late 1970s, and in the 1980s they established and inspired a powerful segment of alternative culture following the most up-to-date processes of contemporary culture elsewhere in the world and integrating them in Latvian cultural environment in their own particular manner. With contributions of numerous artists, musicians and other creative individuals (Inguna Černova, Viesturs Slava, Leonards Laganovskis, Indulis Bilzēns, Imants Žodžiks, Ieva Akuratere, Aigars Sparāns, etc. ), performances, music records, actions and interventions were made, revealing a completely new means of expression in Latvia at the time and destroying the boundaries among artistic disciplines. Among the most noticeable events one can mention the activities of the Workshop for the Restoration of Unfelt Feelings and the legendary walks to Bolderāja, exhibition The Wind in the Willows in Riga, performance Dr Eneser’s Binocular Dance Lessons at the Salaspils Botanical Garden, the Approximate Art exhibitions, as well as the International Telephone Concert, where music was played simultaneously from six cities in the world, etc. The editors of the book are the LCCA researchers Ieva Astahovska and Māra Žeikare. 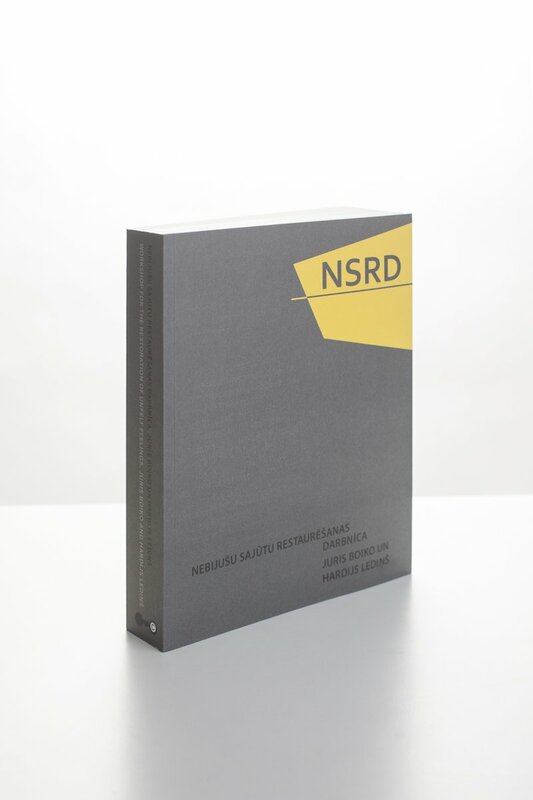 The book consists of four parts: the chronology of events, the archival materials, which have been compiled in the notebooks of actions, essays on the NSRD and theoretical articles by both authors. The chronology is made as an overview of the NSRD albums, actions, video performances, exhibitions and concerts, as well as the creative projects of Lediņš and Boiko in the time period from the 1970s up to the end of their lives in the early 2000s. The notebooks of actions include archival materials on the most important projects such as Walks to Bolderāja, Dr Eneser’s Binocular Dance Lessons and the Approximate Art exhibitions, as well as chapter examining the NSRD activities. 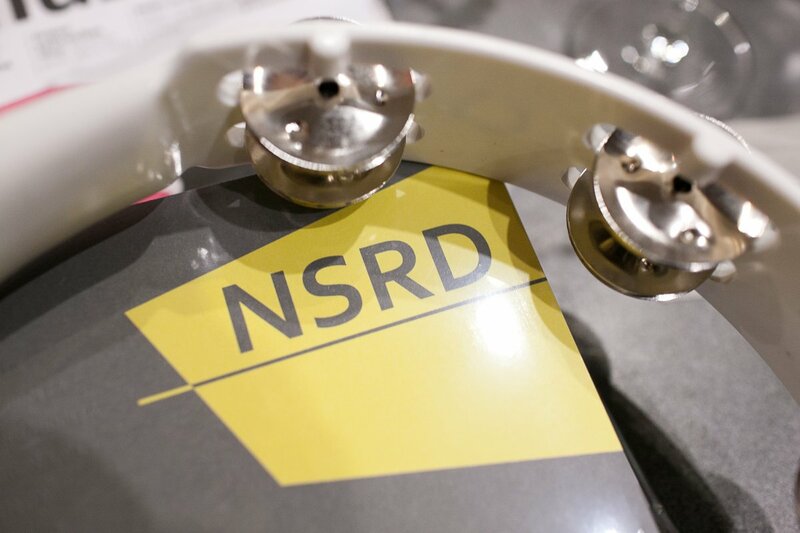 The archival materials are continued by a retrospective view of their contemporaries and current-day researchers studying the NSRD activities in art, music, literature and architecture. The authors of the essays: Boriss Avramecs, Pēteris Bankovskis, Liāna Langa, Jānis Lejnieks, Ilmārs Šlāpins, Jānis Taurens and Māra Traumane. The book is concluded with selected articles on Modernism and Postmodernism written by Lediņš and Boiko, which also introduce readership to their significant legacy and contribution to the theory of contemporary art and architecture. 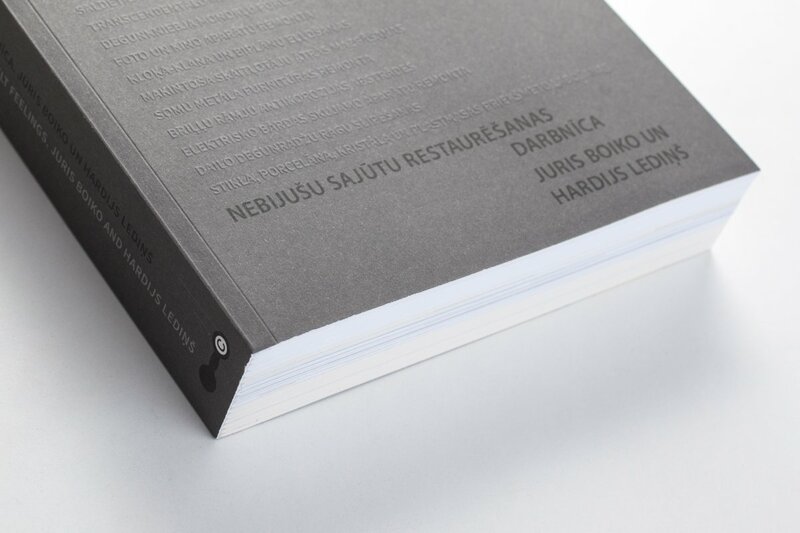 The origins of the book on the NSRD (Nebijušu Sajūtu Restaurēšanas Darbnīca – Workshop for the Restoration of Unfelt Feelings) date back to the early 2000’s, when Hardijs Lediņš and Juris Boiko expressed the idea about it. Later, the work on the NSRD anthology was resumed and continued by art historian Māra Traumane, but in 2007 the archives of Hardijs Lediņš and Juris Boiko were handed over for research purposes at the Latvian Centre for Contemporary Art. Celebrating the 60th anniversary of Hardijs Lediņš, the Latvian Centre for Contemporary Art announced the year 2015 as the Year of Hardijs Lediņš and cooperated with various representatives of creative industries to implement numerous cultural events in the duration of the entire year. These events emphasized the most important points of departure in the oeuvre of the legendary artist. The artist of the book Workshop for the Restoration of Unfelt Feelings. Juris Boiko and Hardijs Lediņš is Zane Ernštreite. The book has 480 pages with more than 500 illustrations and photographs, and it was supported by the State Cultural Capital Foundation and Arctic Paper. 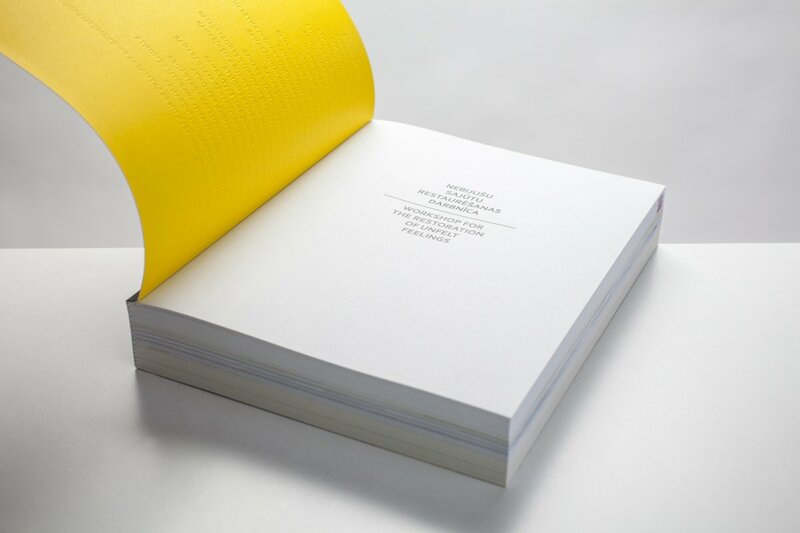 The book is published by the Latvian Centre for Contemporary Art, which focuses not only on curating art exhibitions, but also publishing, lifelong learning, and the issues of archiving, conservation and restoration. Photographs from the archive of the Latvian Centre for Contemporary Art and private archives have been used in the book.